In a country where eight million motorcycles were bought between April and November 2010, about 250 motorcycles sold in the entire year may not be a significant number. 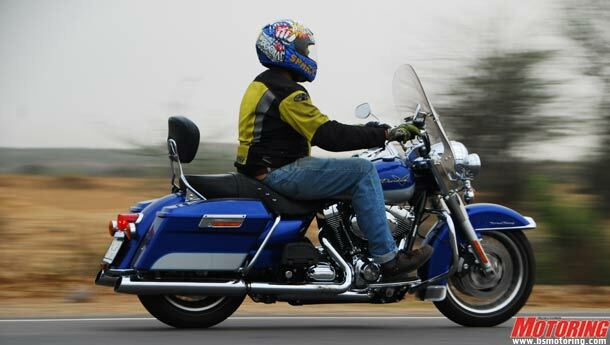 But, with the average price of a Harley-Davidson motorcycle hovering at Rs 12-15 lakh, that is a big number indeed. To anyone who is remotely interested in motorcycles, the name Harley-Davidson is familiar. The Japanese Big Four — Honda, Yamaha, Suzuki and Kawasaki — are already here with their superbike offerings. Not the ones to be left out, exotic brands are making inroads into the country as well. Ducati arrived a couple of years ago and Aprilia made it to the Indian shores this year. But the efforts of all these players pale in comparison to the muscle the American manufacturer is putting in. The difference with Harley is that while everyone has the machinery to sell, Harley-Davidson will go further and sell you a lifestyle as well. Sanjay Tripathi, director-marketing, Harley-Davidson India, says: “We are not a motorcycle company. We are a culture on two wheels. And we want to convert dreams of owning a Harley into a reality for Indian motorcyclists.” It helps Tripathi's cause that Indian demographics are tilted towards youth while we have a strong motorcycling culture already. Harley is simply bringing alive the experience of ownership to more and more Indians. World over, Harley owners ride along with people who share a common affection to big shiny V-twin engines — groups that call themselves the Harley Owners Group (HOG). Initially, these rides in India were coordinated by the company, but now, with five dealerships already operational and three more to come by the end of this year, these events are coordinated by dealers themselves. To bring together even more riders, another initiative called the Rock Riders mates music with Harley-Davidson motorcycles. Why? Well, ask any thoroughbred biker where his tastes in music lie and invariably the answer will be just one word: Rock. The Indian customer, as Tripathi says, belongs to a state of mind rather than a particular demographic profile. Another departure from the other high-end motorcycle offerings today is Harley’s eagerness to let you sample its bikes. While certain manufacturers will gladly sell you their superbikes that would set you back in excess of Rs 10 lakh, just don't ask for a test ride, because they won't give you one. On the other hand, with their Boot Camps, Harley-Davidson invites you to come and taste life aboard its thick two-wheeled slice of Americana. Each and every one of its current line-up, a wholesome total of 14 models as of now, is up for grabs to the potential Harley owner. Also, for those who want their Harley to be truly theirs, the customisation programme will help make their bike as unique as can be. Whatever is available to Harley owners abroad in terms of accessories and customised parts is also available to the Indian buyer. That apart, the American marque has taken India pretty seriously. Instead of simply stocking a few dealerships with their products like the other manufacturers, Harley wants to make their motorcycles more accessible to the Indian motorcyclist. The introduction of the Superlow 883 and the Iron 883, which cost Rs 5.5 lakh and Rs 6.5 lakh, respectively (both ex-showroom, Delhi), points to this fact. But the real seriousness with which Harley-Davidson is looking at India is its upcoming assembly plant in Gurgaon, only the third one on the globe, after the US and Brazil. This will only serve to bring the prices of their models even lower. Judging from all of these moves, it’s clear that Harley has an India-specific model up its sleeve as well. It could displace a lower capacity than the 883, but it will certainly have unadulterated Harley genes. A cheaper Harley is bound to get many takers. Clearly, Harley-Davidson India has seen something in the country that the others haven’t.